Corin Healy (@corinhealy78) is a man with two sides - one is the IT manager of a team at a well respected telco company (Chorus), the other is a stand-up comedian ... how on earth does he know when to do which? We have a cracker of a conversation with Corin, covering off the trials and tribulations of middle management, the over use and bad design of Powerpoint slide decks, what's it like to be a team lead and, surprisingly, Avatar. Underneath this is the ever constant crossover ... See More between your passion and your pocket! 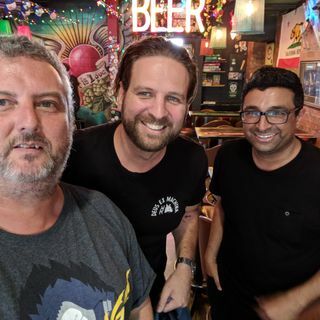 Access Granted podcast featuring Mike Riversdale, Raj Khushal, Pascale Hyboud-Peron, Vaughan Rowsell, Dave Lane, and others sharing the NZ people from tech, social media, startups and upstarts.